Before William Faulkner more or less defined the genre of Southern literature with his folksy short stories, tragicomic epic novels, and studies in the stream of damaged consciousness, he made a very sincere effort as a poet with a 1924 collection called The Marble Faun. Published in 500 copies with the assistance of his friend Phil Stone, who paid $400 dollars to get the work in print, Faulkner’s poetry did not go over well. Although later judgments have been kinder, the publisher called it “not really a very good book of poetry” and most of the print run was remaindered. The young Faulkner fared much better however with another of his early creative endeavors: art. Between 1916 and 1925, the University of Mississippi—which Faulkner attended for three semesters before dropping out in 1920—paid him for drawings published in the university newspaper Ole Miss and its humor magazine The Scream. 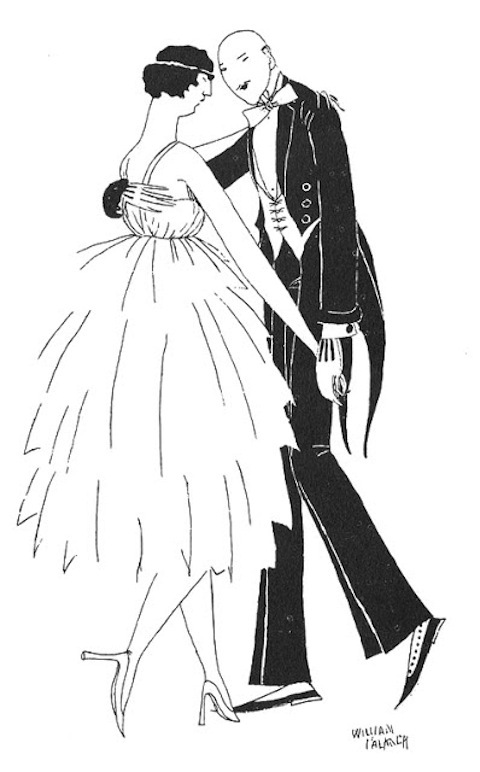 The drawings, like that of a dancing couple at the top, show the influence of jazz-age art-deco graphic illustration as well as that of English illustrator and aesthete Aubrey Beardsley (who gets a name-check in Faulkner’s 1936 novel Absalom, Absalom!). 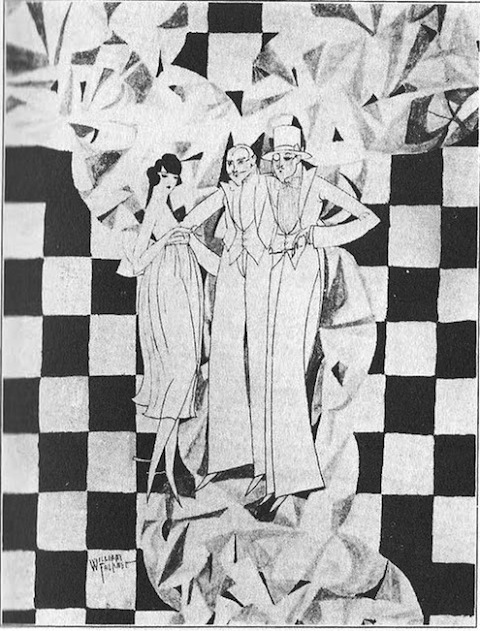 Beardsley’s influence seems especially evident in the drawing above, from a 1917-18 edition of Ole Miss. 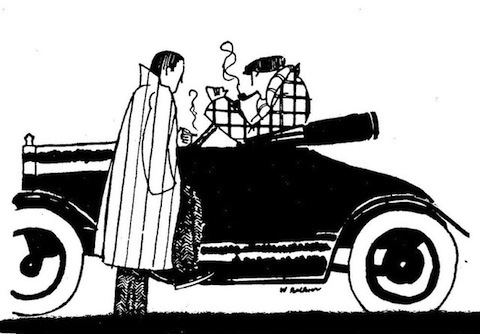 Many of Faulkner’s illustrations are much simpler cartoons, particularly those he did for The Scream, such as the 1925 drawing above of two men and a car. 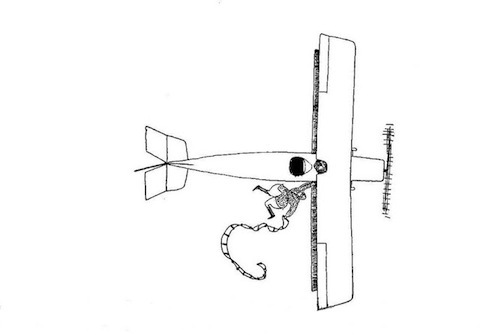 Even simpler, the line drawing of an airplane below recalls the author’s fascination with aviation, manifested in his failed attempt to join the U.S. Air Force, his successful acceptance into the R.A.F., and his non-Mississippi 1935 novel Pylon, about a rowdy crew of barnstormers in a fictionalized New Orleans called “New Valois.” You can see more of Faulkner’s drawings here and read his early prose and poetry in an out-of-print collection housed online at the Internet Archive, which has been now added to our collection of Free eBooks.